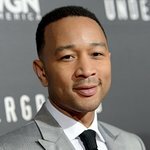 Grammy Award winning R&B artist John Legend returned to his hometown of Springfield, Ohio, to headline a small Christmas Eve benefit concert along with local artists of his high school alma mater. The talent showcase included R&B, gospel, and rock performers, in addition to Springfield high school choirs. It was Legend’s brother’s idea to give proceeds from the concert to the Jason Collier Memorial Scholarship Fund. Collier, an NBA player and Springfield Catholic Central alumnus, was 28 when he died from a sudden heart rhythm disturbance in 2005.